Super Treasure Adventure is a mobile and pc game that challenges players to solve dungeon based puzzles while battling pesky creatures and collecting precious loops. Players will have to put their puzzle solving skills to the test as they navigate through 25 challenging puzzle based maps. Guided by the snarky Goblin King, players will learn new skills and abilities throughout their adventure. Hidden gems and charming collectibles litter each new map. Players can also play Puzzle Mode, which will include over 50 short puzzle maps. 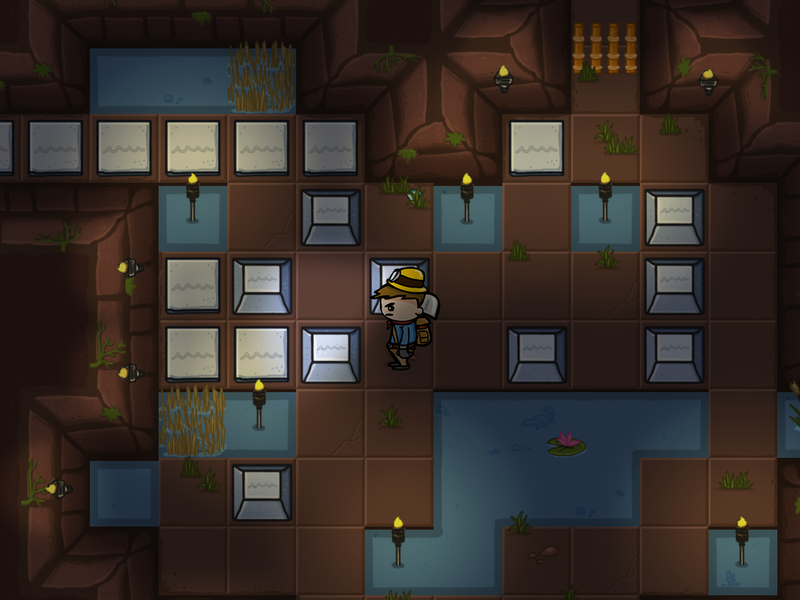 Super Treasure Adventure will include more puzzle maps and modes after the first release in 2014. Mike has always loved to draw silly cartoons. Teaching himself Flash, he learned to do goofy animations and started creating game art for with student projects. He received a Masters in Game Design at Indiana University in 2007. He was fortunate enough to briefly work at Disney Interactive Studios, working on some of the most exciting properties imaginable... like the Jonas Brothers. Mike moved to Fort Wayne to teach game design and eventually landed a web design gig at JH Specialty. Mike and Tim started working together, not really knowing that each other had a passion for game design. In June 2011 they decided to put their passion to work and started creating a puzzle game for iOS. Tim and Mike worked on several ideas before finally settling on a "sokoban" style game with Zelda influences. The original character, a tomato looking creature with neon green hair, was discarded for a more "traditional" dude. Even the "Adventurer" has gone through several character redesigns before the final version was approved. During this time both decided to start working on building community sites for game design beginners. Luckily they had found a place that prized personal projects. While they worked mostly on client projects for JH Specialty, they usually found a few hours in the week to chug away at their game. In 2013, STA finally began to come info full realization with a solid mobile build and a new art direction. STA is built with the love of traditional Zelda mechanics and the love of creating games, mixed with some colorful humor. With Indie games becoming more accessible, the team decided to start working on a PC version as well. The game will be released on iOS and pc in early 2014. The Goblin King wants you to find his lost treasure, but it won’t be easy. 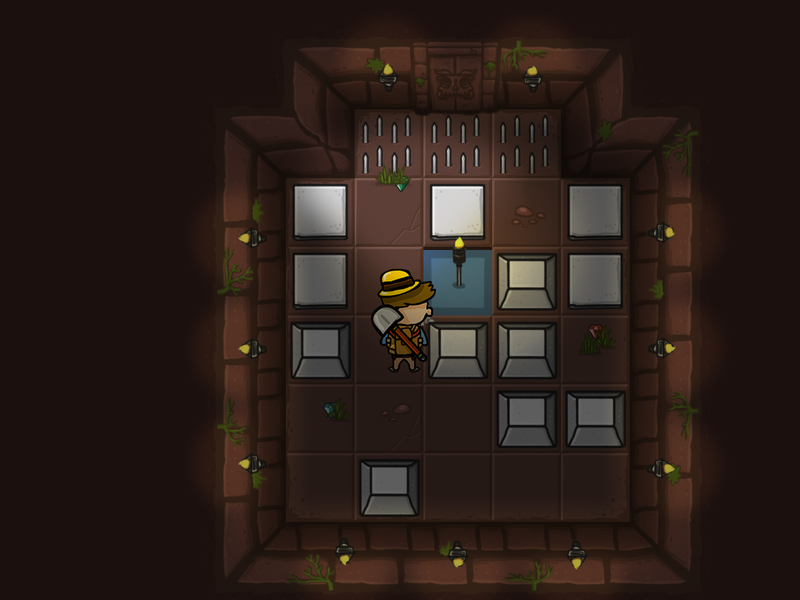 Solve each puzzling room to unlock the secrets of his darkened dungeons. Finished with the Adventure? Try your skills with over 50 mini maps in Puzzle Mode. Don’t let the lights go out! 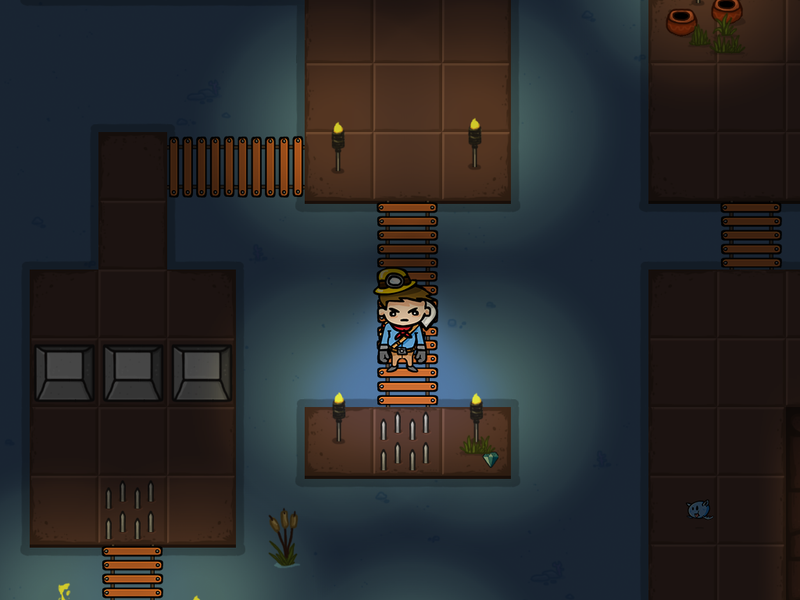 Players will need to keep their headlight lit or else they’ll have to solve puzzles in the dark. Hop on a minecart, swat at bats, collect some jewels, find secret rooms, avoid the guano. 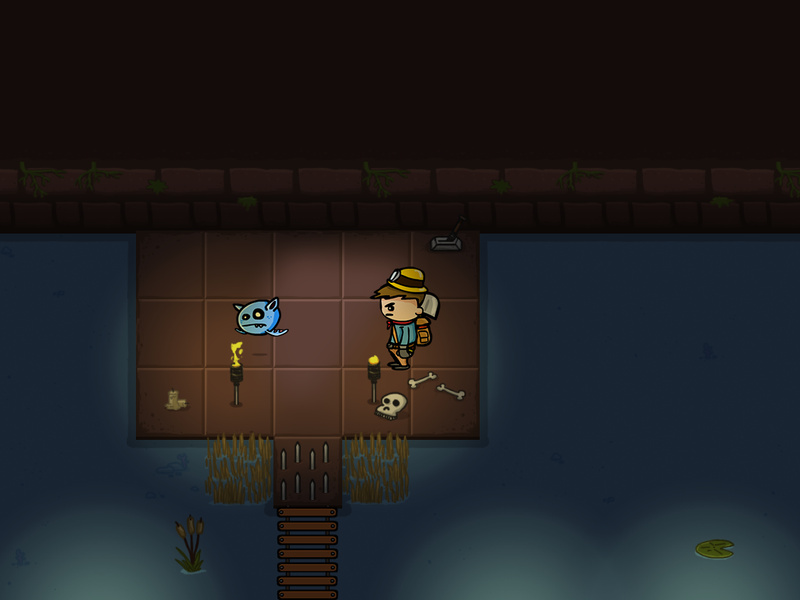 Super Treasure Adventure’s charming gameplay adds a humors twist to the dungeon exploring genre. Solving each puzzle and finding all the Goblin King’s secrets won’t be easy. Are you up for the challenge? "None yet" The game hasn't been released yet silly. Stay up-to-date on information about the game. tumblr.com/blog/supertreasureadventure. JH Specialty is a small non-traditional digital agency that specializes in web design, e-commerce, and application design in North East Indiana. The company also serves as an internal incubator for personal projects. With the support of JH Specialty, developer Tim Jones and designer Michael Vaughn Green have internally been building their game between client projects for the last 2 years; as well as several websites focused on game design and development. More information on JH Specialty, our logo & relevant media are available here.